Jaguar Land RoverThis looks expensive. At $US285,000 (£180,000), the Range Rover Holland & Holland is the most expensive SUV ever produced in the brand’s 44-year history. 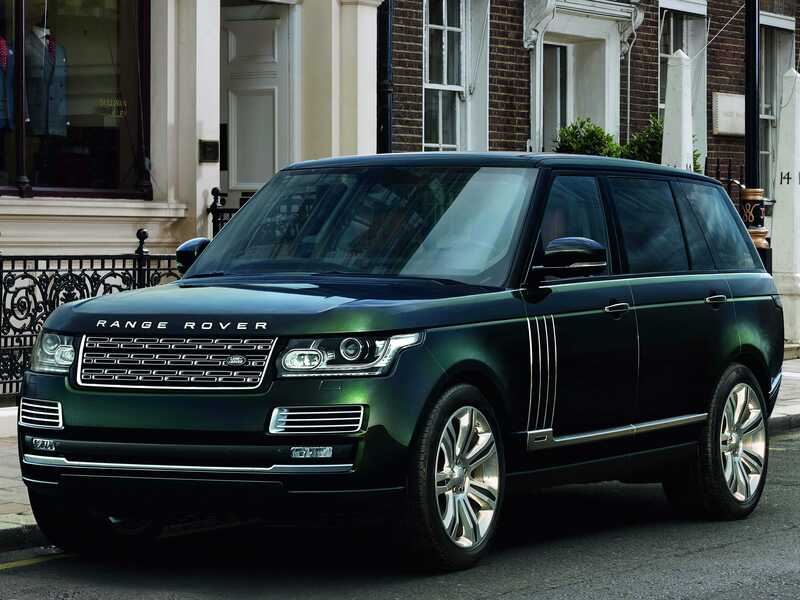 This special edition — which costs $US100,000 more than the top-of-the-line long-wheelbase Range Rover Autobiography Black upon which it’s based — is a collaboration between the company’s Special Vehicle Operation (SVO) and storied gun maker Holland & Holland. So what makes this Range worth so much more than any other luxurious SUV? The Holland & Holland edition is completely decked out in the finest soft-touch leather, and its interior woodwork is cut from a single massive piece of walnut to make sure all of the trim match up perfectly. The walnut is also finished with oil to resemble the stocks of Holland & Holland’s signature rifles. Jaguar Land RoverHolland & Holland since 1835. 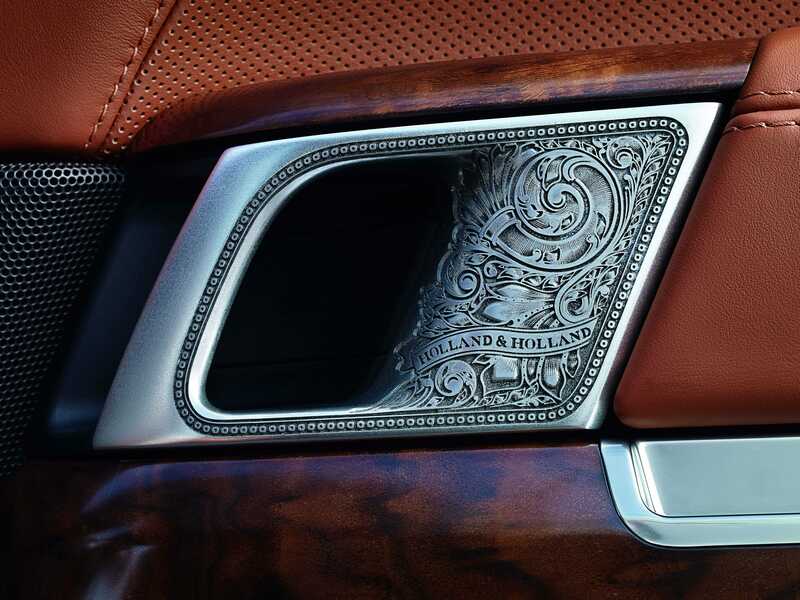 The inside of the Range also features embroidered Holland & Holland logos and engraved metallic accents — an homage to the handcrafted shotguns and hunting rifles synonymous with the brand since 1835. Jaguar Land RoverHolland & Holland door handle. The backseats are particularly impressive. 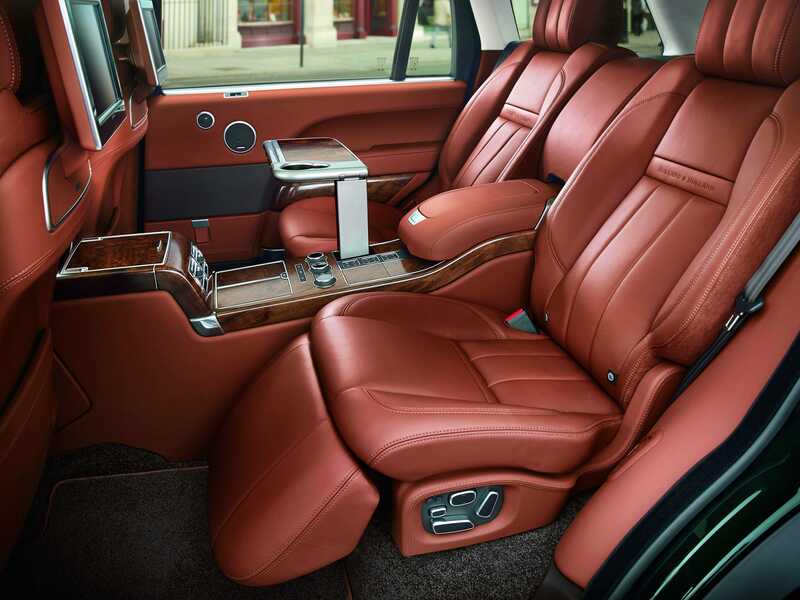 Rear-seat passengers are treated to a pair of executive jet-style reclining seats, retractable walnut tray tables, and a pair of massive infotainment screens. The Holland & Holland edition will be available with a variety of engine options — ranging from a humble diesel engine to Jaguar Land Rover’s 500 horsepower supercharged V8 shared with Jaguar’s XJR supersedan and the F-Type sports car. Jaguar Land RoverLooks like a private jet. Another reason why this Range Rover costs so much is the fact that Holland & Holland guns are expensive — ridiculously expensive. 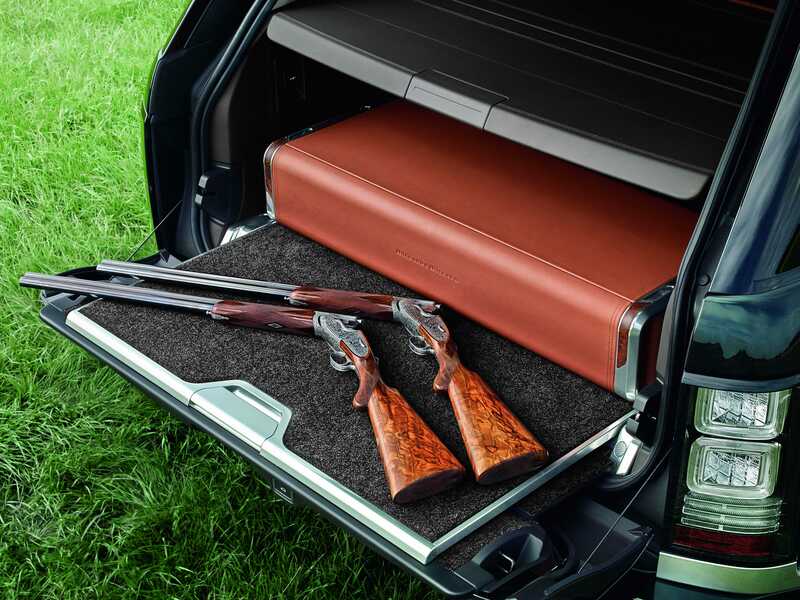 With price tags ranging from $US43,000 to $US277,000 for the “Royal” double barrel shotgun, the company’s guns make the high priced-Range Rover feel like a bit of a bargain. To store these guns, Range Rover has installed a carbon fibre and aluminium gun case that can slide out through the tailgate. As with the rest of the car, it’s finished in fine leather and polished walnut. Jaguar Land RoverThe gun show. The Holland & Holland Range Rover will be very rare. Jaguar Land Rover plan to build roughly 40 examples a year over the next three years. Whomever is fortunate enough to get their hands on one of these mega-buck Range Rovers will certainly have the ultimate in luxurious hunting vehicles.